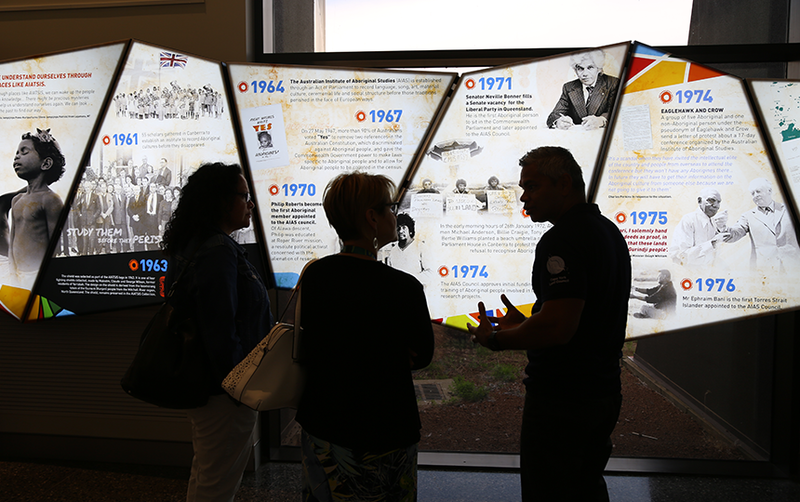 International visitors learning about the history of AIATSIS and Indigenous rights in AIATSIS' exhibition space in Canberra. PTID are proud supporters of the AIATSIS foundation. The Australian Institute of Aboriginal and Torres Strait Islander Studies (AIATSIS) is a world-renowned research, collections and publishing organisation. They have accumulated the largest collection of material related to Indigenous Australians in the world. AIATSIS have identified two areas of knowledge which are critically endangered - languages and songlines. AIATSIS are taking the lead on the preparation of a comprehensive and urgent plan to identiy, gather, preserve and share it. These projects will enrich our national culture and it is a privilege to contribute towards shaping it. For more information about the Songlines project please view the latest report here.